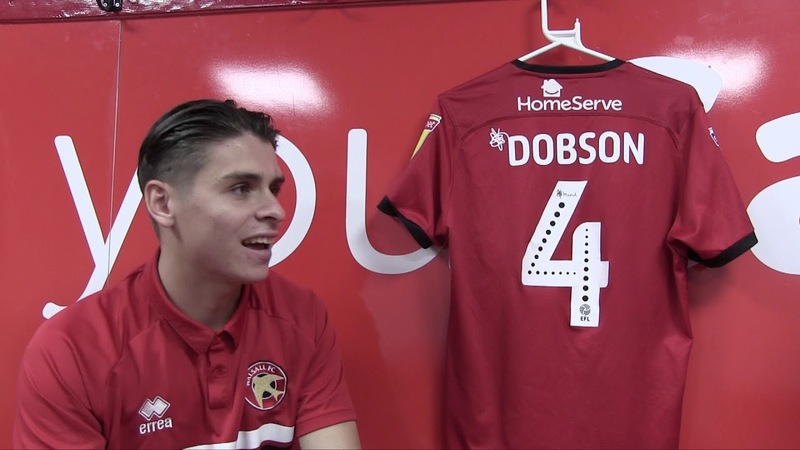 Walsall captain George Dobson has spoken ahead of this weekend's League One clash with Accrington Stanley and says recently appointed Interim Manager Martin O’Connor has had a positive impact on the group heading into Saturday's trip to the Wham Stadium. The Saddlers arrive at this weekend's clash on the back of five consecutive defeats and in dire need of both an improved performance and three points as they currently sit just one place above the foot of the League One table with just five games remaining. 51-year-old O’Connor, who takes charge of the Saddlers following last weekend's sacking of former manager Dean Keates, begins the mammoth task of trying to secure safety with the trip to fellow strugglers Stanley, and, following a good week’s training, Dobson has called on his team to put in another positive performance – and back it up with a result. Speaking via the club's official website, George said; "Martin has been brilliant over the last couple of days. Everyone is really enjoying training. We are working on a few new things and we are confident that we can put those into place at the weekend. "Firstly, we need to put in a really positive performance. If the performance is there, it’s more than likely that the result is going to follow and that is all we are going to focus on at the moment. "We need to stop focusing on the other teams around us and we need to focus on what we are good at and what we can do to put our game onto them. Martin has said he wants players for the next five games that are going to stand up and be counted, roll their sleeves up and give everything for the cause. "He wants players that are going to give everything for the football club, for each other and for the fans."